To celebrate over €2Millions of sales on afrikrea.com, discover the “White Paper Report of African Fashion online” with exclusive data and lessons learned. How does one designer in Nigeria sells over 10K€ a month just online? Who are the buyers of African fashion in America, Europe and in over 78 countries? What is the average basket of each zone/type of buyer? When is the best time to reach them? Does an African girl from Paris like the same type of products that does an Afro-American woman from Atlanta? Is it better to produce in Africa, China or the West? 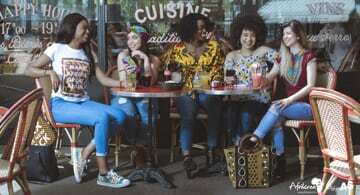 Find the answers to these and over a hundred other key questions and data points in the “White Paper Report on African Fashion online” of the world leader Afrikrea.com. By analysing over 50000 purchases from 78 countries and the experience of over 2500 designers, Afrikrea.com shares in all transparency a wealth of knowledge that is unique in the sector. The goal is not only to empower more designers to dominate the global stage, but also to foster a common discussion on numbers in African Fashion with actual global sales figures.